If you've already learned the basics down at your local climbing wall and want to make the transition to outdoor climbing, this two-day course is one for you. 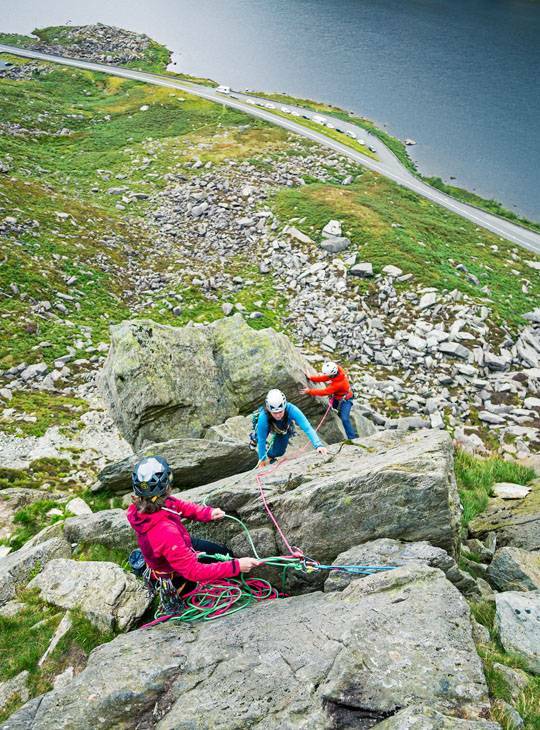 See what the area has to offer and take on some amazing rock climbing in stunning Snowdonia. 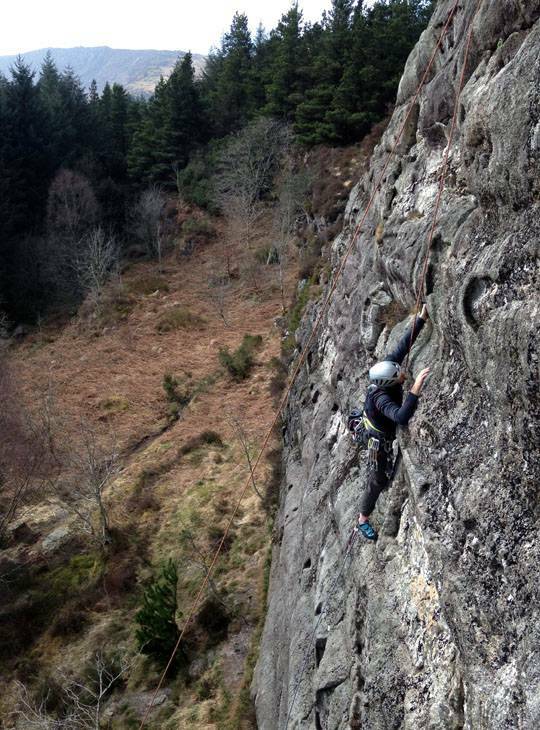 Within a short distance of the centre there are variety of amazing climbing areas, many with their own micro-climate, meaning there will be a selection to choose from whatever the weather. This is a course tailored to your goals and experience. 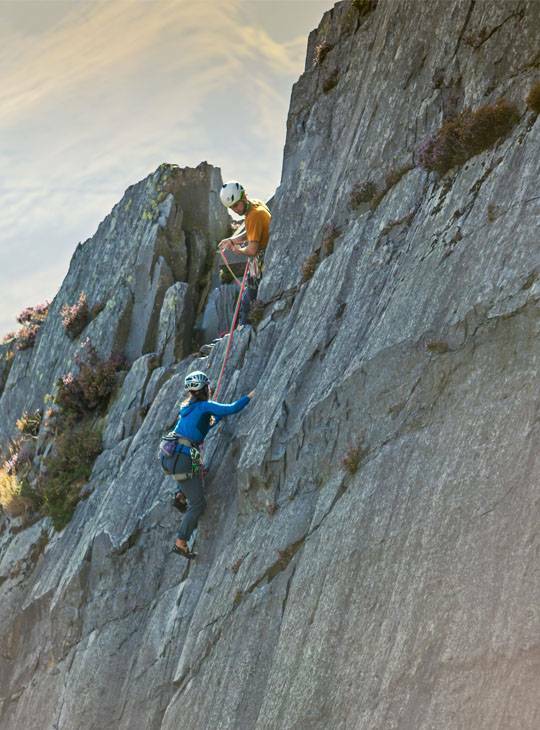 Whether you want an introduction to outdoor sport climbing, or to try your hand at trad - each morning the course staff will decide on a venue that is best suited to the conditions and to the group. Outdoor rock climbing is a lifelong passion for many, and once you’ve seen the view from the top of the crag, you’ll never look back. - You’ll take your indoor climbing skills outside. 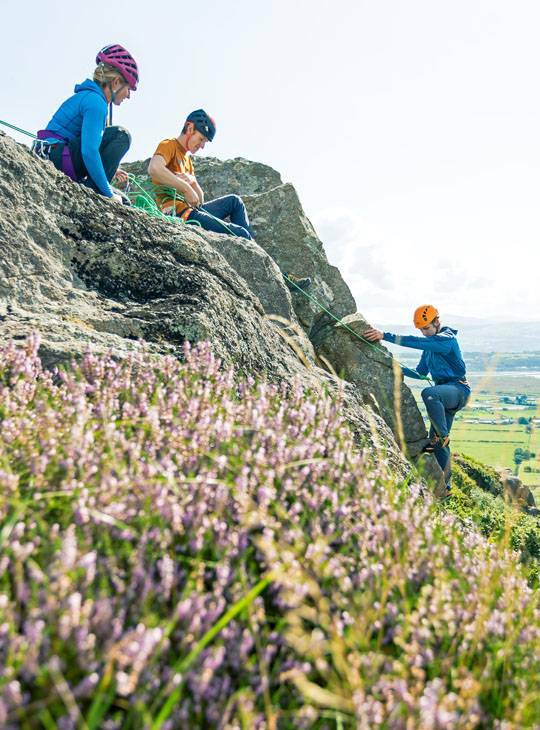 Get to climb on real rock with beautiful North Wales as a backdrop, being coached on your climbing and movement techniques by our highly experienced instructors. 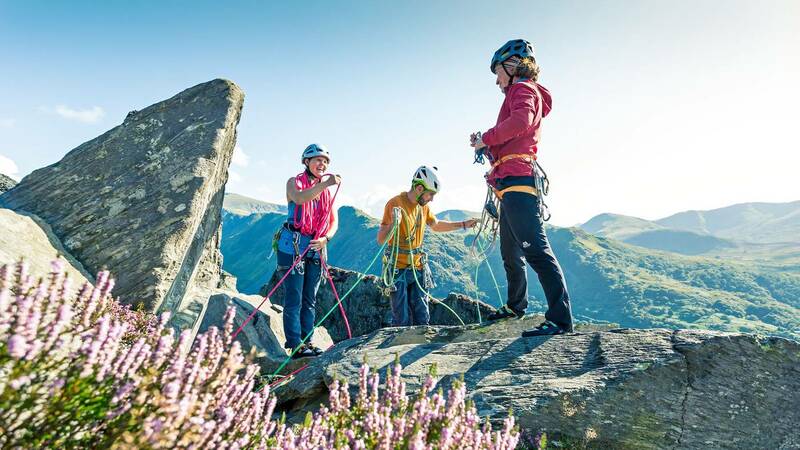 - You’ll learn how to decipher guidebooks, choose venues based on your ability level and the weather, and look at efficient and safe ropework that will help you on your journey to independence. - You’ll cover the skills needed to place protection and judge its quality and build solid anchors on top of the crag. We know it's very important for you to progress at your own pace. You should have some indoor climbing experience, but no outdoor climbing experience is necessary. You might however have gone climbing outside once or twice with friends and are looking to improve your basic knowledge. You might have gone climbing outside once or twice with friends and are looking to improve your basic knowledge.